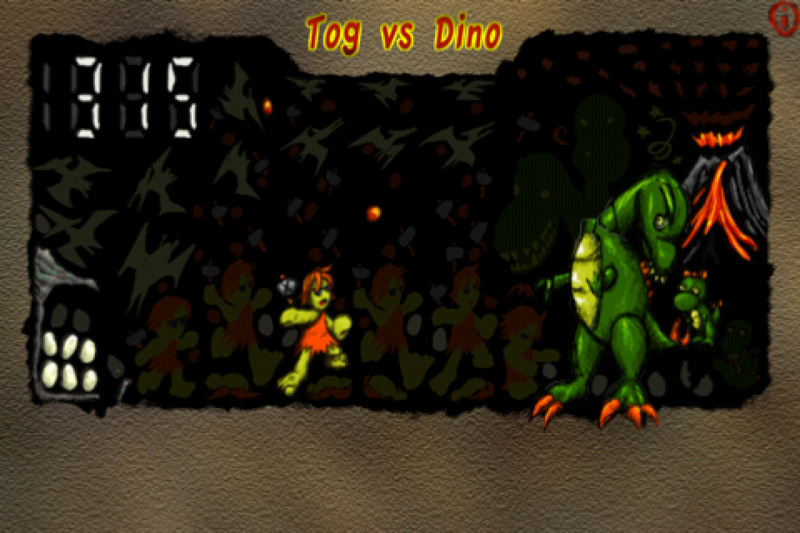 Tog vs Dino is a remake of a 1980's handheld system. 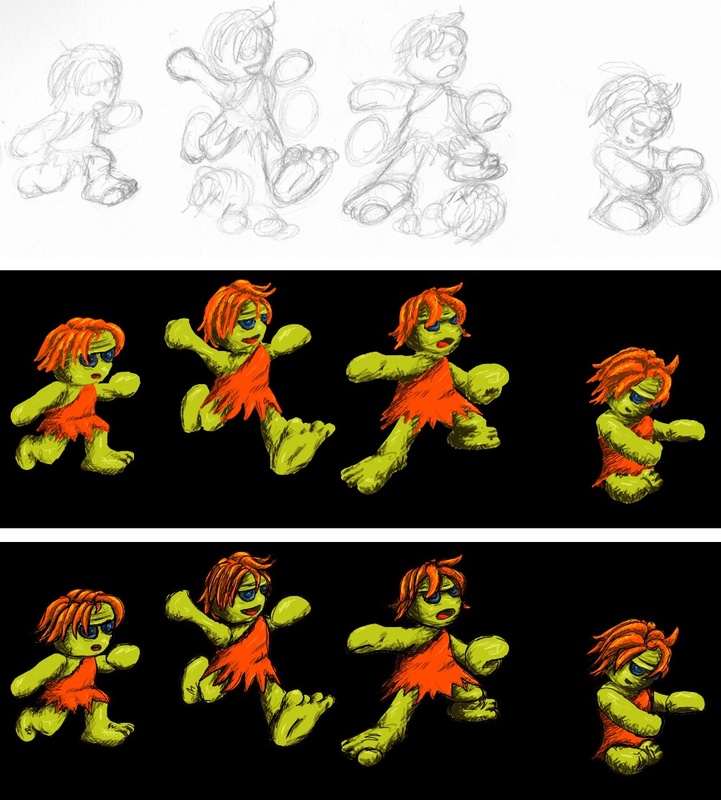 Originally released in 2013, it was my first iOS app. The art was by Angelina Moore. When I saw her art style, I knew it would be a great fit for the game. I didn't want to use on screen controls, as they are always hard to hit, especially if you change your grip. Instead you swipe the screen left and right to move Tog, and tap the screen to fire. I found this worked really well. In this retro blast from the past, relive the action of 80's style hand held games! A caveman has to eat right? Besides, that big 'ol dinosaur isn't going to miss one or two eggs will she? 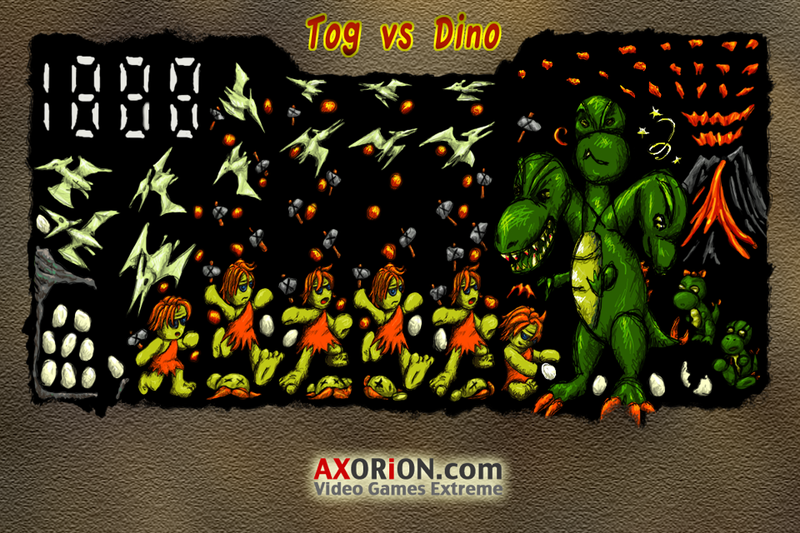 Play Tog, the daring Neanderthal as he dodges lava rocks and avoids getting his eggs stolen by pterodactyls flying overhead. 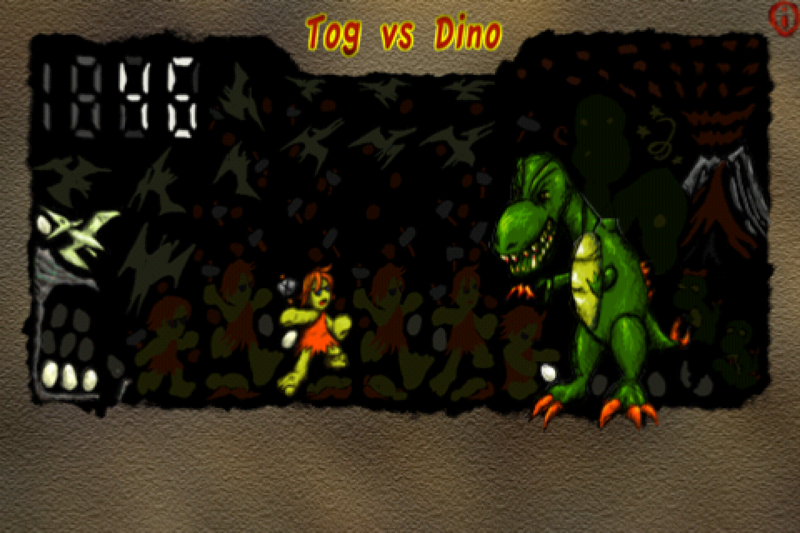 Get close, but not too close, and use Tog's trusty hatchet to knock Dino into dream land and bring her eggs back to Tog's cave. Dispatch a similar fate to the pterodactyls before they steal Tog's hard earned eggs, while he is away from his cave. When playing, the egg will flash when you can take it. To throw the hatchet at Dino, stand a couple spaces away from her. To throw it at the pterodactyls you can stand in the other spaces.